On our way to Arkansas to enjoy the fall colors, Ren and I stopped at a small city park, Sequoyah Park, to stretch our legs and take the dog for a short walk. This is a pretty little park near downtown, and the trees were in fine color, so naturally, I took some photos. It was on a Friday morning so we pretty much had the park to ourselves. I thought the contrast between the trees, the grass, and the clouds made for some interesting compositions. Scott looking to make sure his shot was perfect; taken by Ren. We were afraid we had missed the peak of fall colors, but, here in the Cherokee capital, it seems we might have chosen the perfect weekend to do our seasonal color trip. This park runs right along the Tahlequah Creek which runs into the Illinois River just east of the town. There are two historic WPA bridges crossing the small creek which gave it a great composition. Ren often looks for the shots with her phone’s camera so I can see what she’s talking about. This is one of those shots. 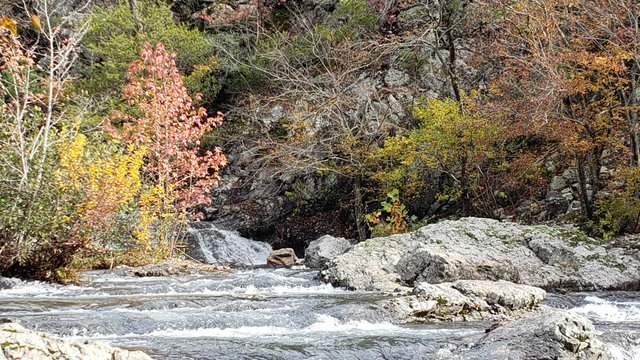 One of our favorite places in Oklahoma and Arkansas is the Talimena National Scenic Byway. We have taken it many times, but this year we decided to just do the mountain range this amazing drive between Talihina, Oklahoma, and Mena, Arkansas. The Ouachita National Forest was where we found ourselves searching out many waterfalls. Little Missouri Falls on the Little Missouri River in Ouachita National Forest taken by Ren. So often Scott is the photographer between the two of us. I tend to be the scout; the one who finds the moments and places in time for him to capture with his Sony A6000. However, there are times I feel a need to take photos. Unfortunately, I take photos with my Sony A5100 so rarely that I forget how what buttons do what on it. I have been trying to be better at this, but it is just so much easier to take photos using my Samsung Galaxy 9. I decided one Saturday morning during the Cherry Street Farmers’ Market it was time to pull out my actual camera and practice taking photos. Normally, I meet my daughter Amber at the coffee shop just feet from my apartment, but she was unable to walk the market with me this Saturday so I had no excuses; it was going to be a perfect morning to take photos and I really needed the practice. Grabbing my fabric bags to put produce in and camera bag, I set out at just before sunrise to decide where would be the best place to start snapping photos of this magical event. 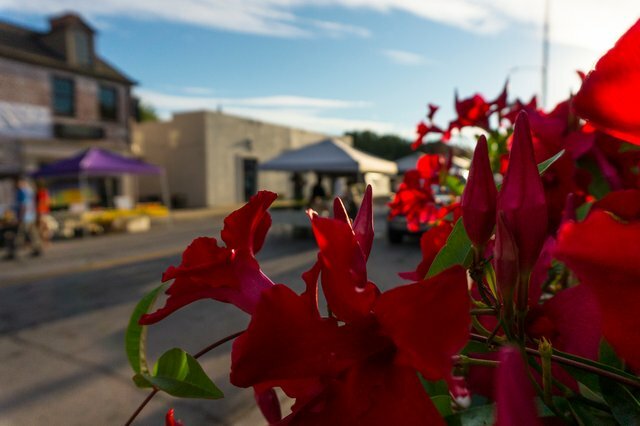 Our local Cherry Street Farmers’ Market starts up every spring on the first Saturday of April and ends the third Saturday in October from 7:00 am until 11:30 am. The street for three blocks is shut off to traffic and people wonder about cheerfully. It is where the community comes together to purchases their weekly produce, samples the treats, and celebrate the beautiful Oklahoma mornings. Our farmers’ market is not like what you will see in the movies or on television, it is only has four, maybe five vegetable vendors, maybe two or three artists, a couple of food trucks and a smattering of prepared food vendors. It is pretty small, but it is perfect for our square mile community. 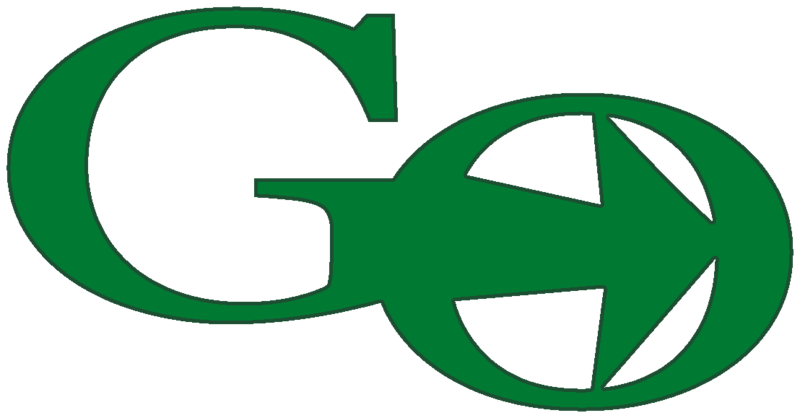 We all like it this way because most of the vendors know what each customer is looking for and they even know our names! Often my daughter will pick up my produce when I am not able to attend the market due to Scott and I traveling and the vendors know that she is mine and shopping for me. Yes, I do love our farmers’ market. One of my favorite things about the Cherry Street Farmers’ Market is that there is live music being played every weekend. One weekend it will be the Falsey Twins who play the blues, another weekend the piano man will be banging on his upright piano (an actual wooden upright piano) while his wife belts out a ballad, and yet another weekend there will be an old-timey musician playing causing everyone to break out in shared song and dance. Everyone seems to enjoy the music, no matter the genre; they are extremely generous when they toss money in the bucket of appreciation. Most importantly, the best thing you will find at this little Saturday farmers’ market are the people who have made it possible. There is so much work that goes into putting on such an event. Someone has to get up before 5:00 am, set up the closure signs, get vendor spots set up, take care of the city permits, and all the other things no one really sees as they wander through the market tasting, buying, and enjoying. They are amazing people who are dedicated to being on our little bit of heaven every Saturday from April until the middle of October no matter the weather. Yes, they are what makes this event so magical. I was able to take so many wonderful photos that September morning while the morning light was still low and making everything golden. I am not able to tell you what my settings were on the camera, but I can tell you that it is days like this that get me excited about taking photos and maybe making someone smile. Even though the Cherry Street Farmers’ Market is gone for a short while, I can look back and remember the magical morning I had. 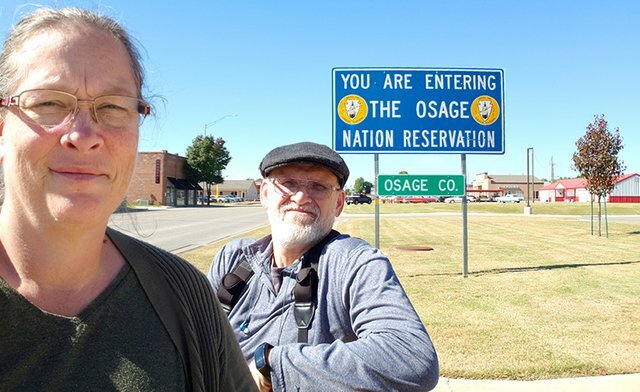 We took a few days off from SteemIt to go visit the county of Osage here in Oklahoma. Having collected all 77 of the counties here in this state, Scott and I decided it was time to do a letting more in-depth travel and see what the largest county in Oklahoma looked like. Granted, we probably won’t be able to do this for every county in the United States, but we can do it occasionally while we do some local travel. Taking a traditional sign photo for Osage County. I am sure you are asking yourself why we decided to focus on Osage county even though we have 442 other counties that we could really dig into. First, this is the largest county in Oklahoma and there it is pretty unique in its history. Secondly, this county is close to home. Because of this, we were able to save on hotel and camping expenses by going home each evening. Granted, we found ourselves wishing we could have camped a time or two, but that is hindsight for sure. Lastly, we were just curious! That is the best reason of all! Old trestle bridge crossing the Arkansas River from Pawnee county into Osage County. We were able to find some pretty amazing places in this county and are excited about sharing them with you in future posts. One of the places we visited was the Joseph H. Williams Tallgrass Prairie Preserve just north of Pawhuska. We arrived early in the morning so we could get some sunrise photos. Because we arrived so early, we had time to take it slow, do a little hiking, and enjoy a surprise on the prairie! Hiking along the creek in the middle of a prairie. There was a bit of a shock for us once we officially arrived home, ending the trip. When we had thought about traveling to Southeast Texas, the milage was looking to be about 800 miles. Because of all the flooding in Texas, we decided to do something more local; hence, why we chose to ravel in Osage County. The mileage we traveled within Osage county came to 715 miles! We were so stunned. Near the highest point in Osage County, the view was amazing. Over the next few days, Scott and I will be processing the photos and videos to bring you more informative and entertaining posts about our trip. We enjoyed our travels these past few days, but can’t wait to share them with you. We are driving along an Oklahoma road through Hinton and we could see a few mesas in the distance, flat prairies, and evidence of the 1920’s Dust Bowl era all around us. However, if it were not for the Red Rock Canyon State Park sign, we would never have known it was there. This canyon is hidden about a quarter of a mile from the main road and the road into the canyon drops down 150 feet in switchback style. Balancing Rock standing away from the canyon wall. Here we were greeted by large slabs of a dark brownish red slab of sandstone from the Permian Age. The sandstone walls are part of what geologists call the Rush Springs Sandstone Formation and these colors are caused by the oxidized iron minerals in the individual sand grains naturally cemented together making up the old sandstone. Because of the dark red color of this layer of rocks, it is said that this area is the heart of Oklahoma. Once, in the canyon, we found these amazing 40-60 feet high walls of red sandstone. Because we arrived at sunrise, a planned two and a half hour drive, the light was perfect and enabled us to take photos showing off the beauty of this canyon. Here, high canyon walls towered over the flat two and a half mile canyon road. From my research, I learned the ground is completely from the eroded Permian Age sandstone. A road in the canyon has many trees and wild grasses growing alongside it. The canyon floor area is completely different from the prairie 150 feet above. We were not expecting to see the brilliant green colors throughout the park; this trip was in July, one of the hottest months of the year for Oklahoma. Normally it is extremely hot with temperatures in the upper 90’s and everything dry enough to warrant fire danger warnings; however, in this park, you found nothing of the sort. It was pretty amazing to see this oasis below the prairie. One of the interesting features we found on these cliffs were some vertical lines etched into the stone. We were unsure what these lines were and wondered briefly if they were graffiti. However, it was not graffiti, but decades of use by Rock Climbing and Repelling Clubs throughout Oklahoma. The rock climbing is only allowed in this one specific area to keep the damage in one spot. One of the things we do as we visit a state park is to drive the full length of the park. This means we drive through each camping loop to see what there are for tent and RV campers, take a peek at the facilities to see what’s available, and find the trailheads to do a short hike or two. This park has three hiking trails: The nature trail which takes you past the pond and in towards the front of the canyon. This pond was used as a water source for the Cheyenne Indians as they wintered in this canyon. The California Road Natural Trail which is where you will find the ruts left from the wagon wheels of those traveling to California back in the early 1800’s. This was the path the California bound pioneers used this path to get their wagons down to the canyon for protection from the elements and find water, much as the Cheyenne people had done. The trailhead for the California Road Natural Trail. Unfortunately, Scott was having issues with his foot and he was not able to explore the trail I found hiding behind a large grove of Caddo Maples. I did not go far, but I just had to see where this these stairs led. They started out with steps made from railroad ties and then turned into a natural set of stairs around a tree’s roots. Suddenly there was a large slab of sandstone with an indention from thousands of feet climbing up the trail to look down into the canyon. This park is a place that we will be visiting again. It has good electrical and sewer hookups, plenty of places to explore, and a swimming pool to cool off in on those hot summer days. Our time here was almost magical, in a way. Between the spring feed stream, lush canyon floor, and the red rock wall, we felt it was another world. However, it was time for us to move on to our next destination, another state park so we could share that one with you too.